Electric cars have caught up to gas cars. They can now be compared in speed, acceleration, and range. One thing people forget however, is charging, or plugging them in, and the time it takes to get your battery to full capacity again. At a gas station your tank will be full in a minute or less, electric cars can take hours. Many factors influence charging time, such as how good the charger is, the outside temperature, and the capacity of the car battery. Plug-in hybrid can take between 1 and 4 hours to be fully charged on Level 2 chargers. Battery EV’s can take anywhere between 4 and 8 hours to be fully charged (from 0 to 100%) on Level 2 chargers. This might seem like a long time, but if you take into account how long your car is parked for, usually at home or at work, then it resolves its own problem. Cars at home are parked for up to 14 hours, and an average of 8 hours at work, plenty of time to get your EV charged up to get to your destination, if not back at 100%. The most convenient way to charge is obviously at your place of residence. There are 2 different levels of charging you can get installed at your home, level 1 and level 2. Level 1 charging is the default charger that comes with the EV. These chargers can be plugged in with one end into any standard 120V outlet, and the other directly into the car. Level 2 chargers are sold separately from the car (although often purchased at the same time). These chargers need a bit more of a setup, as they are plugged into a 240V outlet, which often requires the work of an electrician. Level 2 chargers are sold separately from the car. These chargers need a bit more of a setup, as they are plugged into a 240V outlet, the same one as a typical laundry or drying machine, and require an electrician. For any electric vehicle or plug-in hybrid, we recommend a level 2 charger to really make use of all the benefits of driving electric. Read on below to see a summary of charging levels. There are 3 standard levels of charging, 3 being the fastest. Level 3 is also the only one that uses Direct Current charging, so make sure you know the specifications and capabilities of your vehicle before just plugging in any charger. Public chargers are like gas stations, located in highly dense areas and spread along frequently traveled highways and roads. Being able to charge your EV at work means you dont ever have to worry about getting back home or if you have enough of a charge to get to your next destination. Many regions have incentives for employers to install charging stations, and a lot of employers also swallow the cost of the electricity, which means you get ot charge for free! Even if the employer charges a fee for charging, it will still be significantly lower than that of a gas station. Being able to charge at work also gives you the opportunity to be able to charge twice a day. 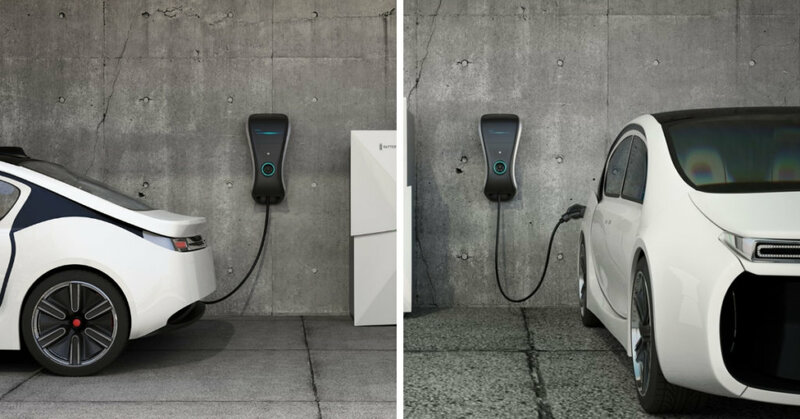 When combined with home charging, workplace charging can double your daily electric range. This is particularly interesting for plug-in hybrids, as the motor can kick in especially for longer distances, saving you even more on fuel. Level 2 charging also allows for employers with lots of part-time employees to get a decent charge while at work for only a few hours. The most common connector for a home and public charger is the SAE J1772. It is the connector used to charge the most popular EV’s, like the Nissan Leaf and Ford Focus EV. It is also the charger used by most Level 2 public charging stations. Tesla’s also come with a J1772 adapter to attach. The Level 2 is the optimum charger to install in your home or garage. Many public charging stations are level 2. RV plugs are also level 2. Commonly called the DCFC or DC Fast Charge. These charging stations are the quickest means to recharge a vehicle and include CCS and Tesla Superchargers.